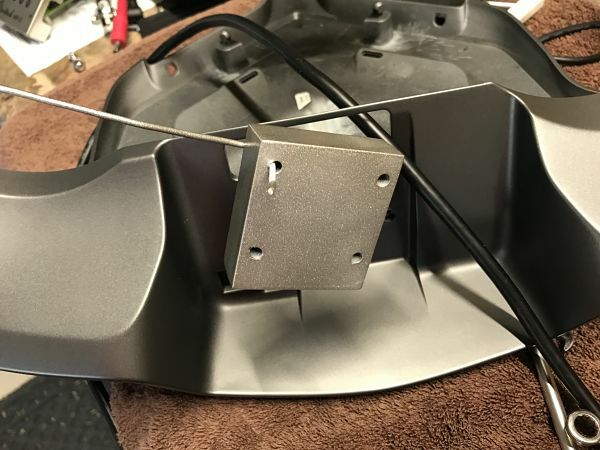 After looking around to see what was involved in mounting the Garmin Zumo in the factory spot, I couldn't find much info so I am sharing what worked for me. 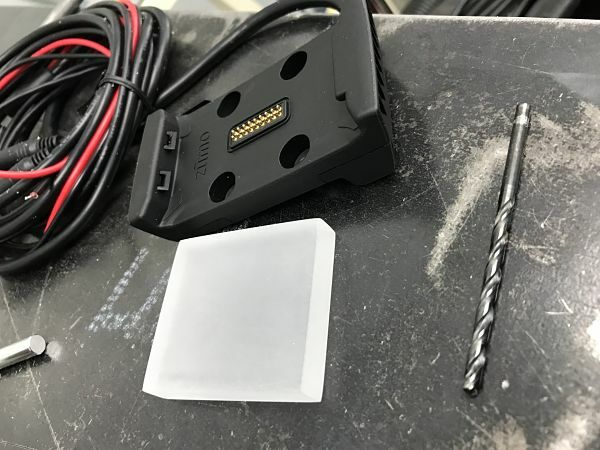 Picked up some M4 x 0.7 x 45mm stainless screws and cut a 2" x 2.5" x 3/4" spacer block from a piece of 3/4"" clear acrylic scrap that was on hand. Sanded it with 220 grit and painted it a close color, drilled holes in it and mounted to original dash holes after filing them down a bit. There is enough space behind the GPS to poke a finger up behind it to activate the release as long as your fingers are long enough. 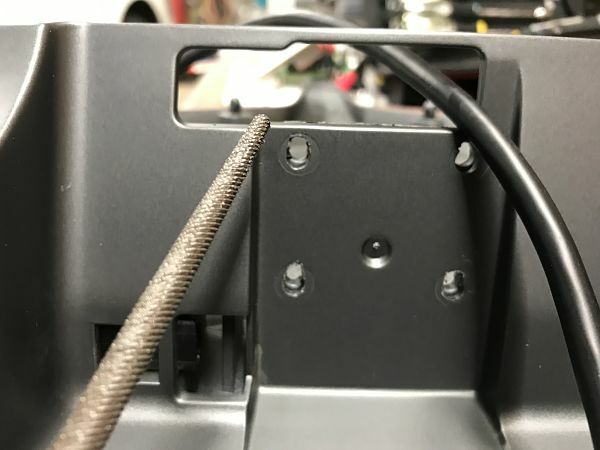 I drilled a hole in the top of the right cubby to insert the audio input, output and mic connectors from the Garmin and sealed the hole with silicone. 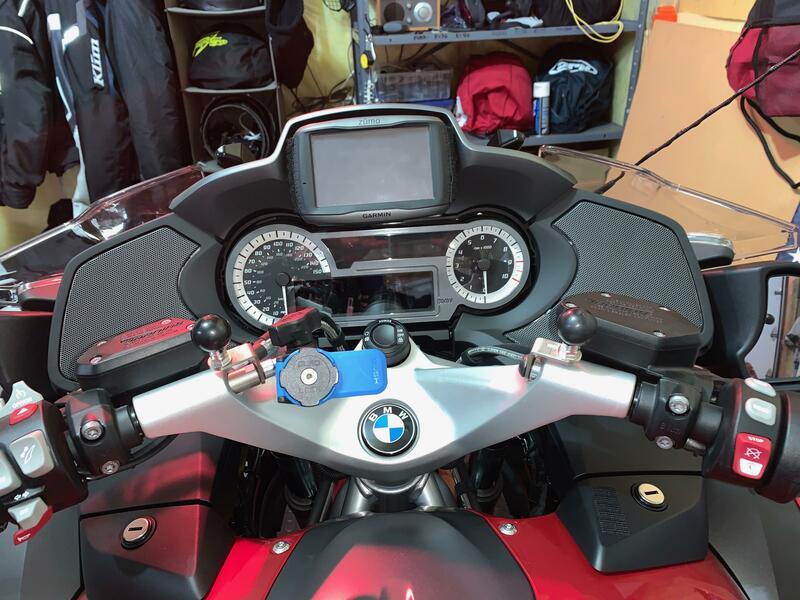 Also ran the Garmin USB to the left handlebar since I would most likely store my phone in the SW motech tank bag or left dash storage compartment and could run the USB cable from there. Dann323 and srwilliams55 like this. I plan on doing something similar, except using 1" nylon stand-offs. 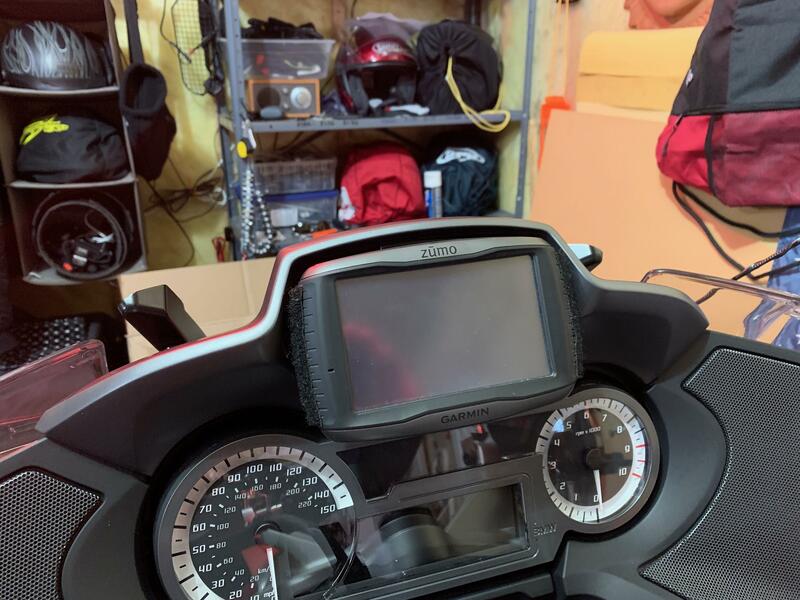 Did your bike already have the factory GPS-prep kit? 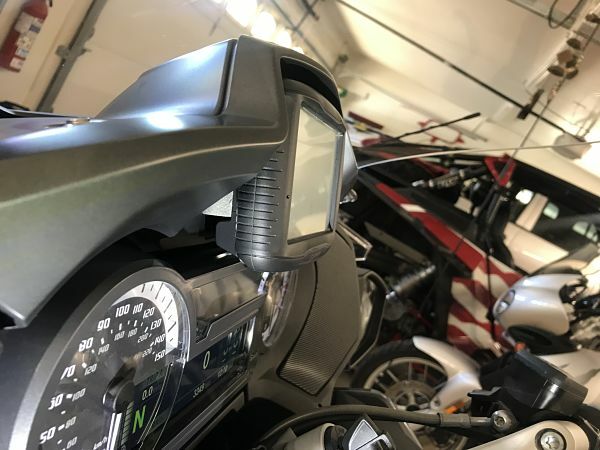 Where did you access power for the GPS mount? I was hoping to tap into the harness for the factory kit... 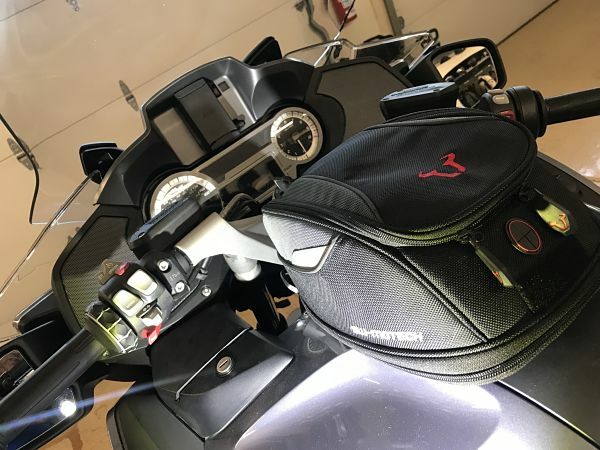 I'll probably route the USB and audio in jacks the same way that you did; I never used the other connections when it was mounted to my Street Glide. Your idea of using 1" standoffs would work great. I did have the GPS prep kit on my bike and used the power feed from that to power the Garmin. 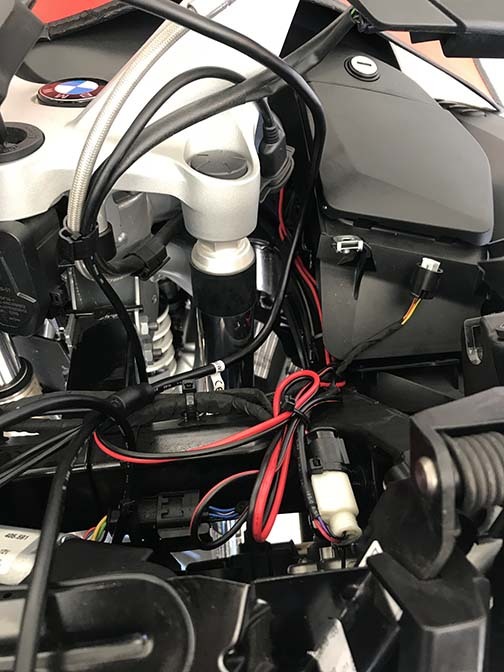 Wonder if the connector is there and not used on a bike without the prep kit? I cut the harness from the factory cradle to reuse the connector, soldered and heat shrunk the wires. This is the connector and I used the red & black wires. This shows the final install after soldering the wires. This is also the original location of the harness. It was relatively easy and you don’t need to remove much. 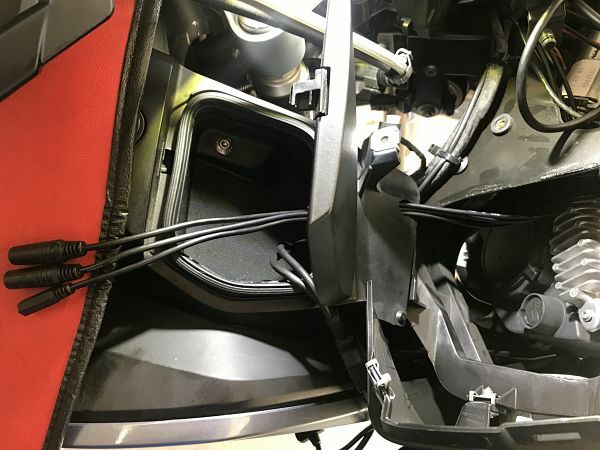 Take off the windshield, then the top of the dash removes easily, the speaker surrounds and speakers and then you have good access to do what you need. I finally got around to installing the Zumo 590 mount into my RT dash. The 1 inch stand-offs worked out fine, though it is a little tough to hit the release button with short fingers. 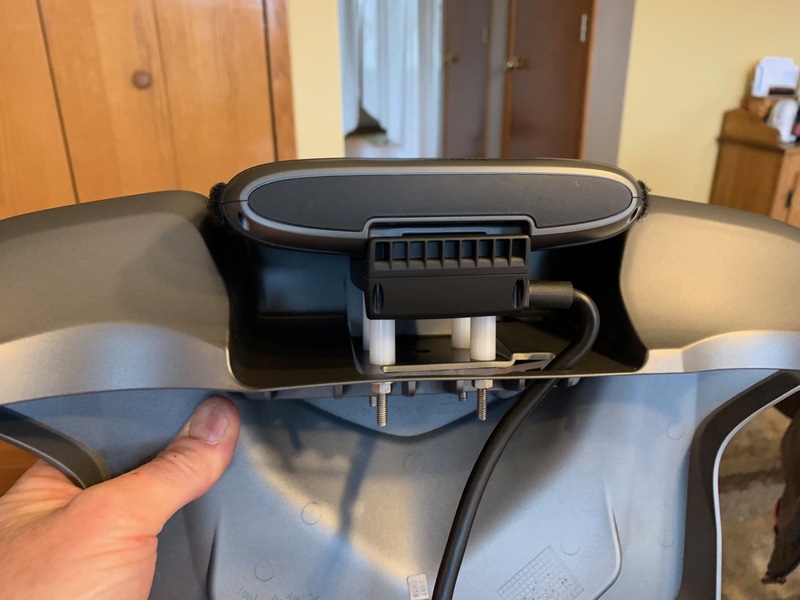 There isn't ANY extra space at the top of the mount for the eject tab to extend. 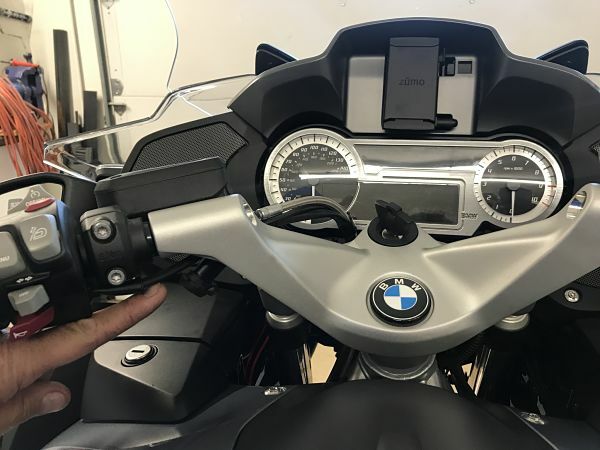 I ended up ordering a BMW repair plug instead of cutting off the original connector, just in case I wanted to return the bike to stock in the future (or get a Nav VI). 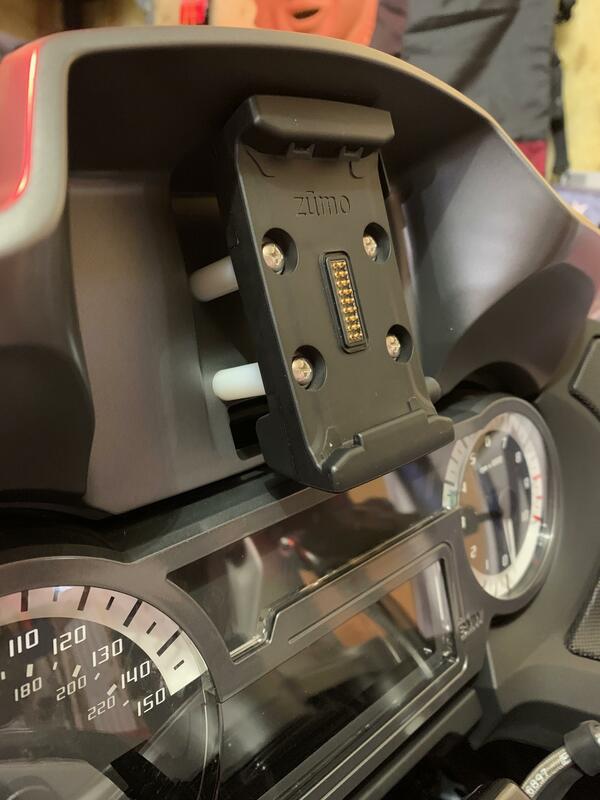 There isn't a whole lot of room to stuff the excess cable/wiring that comes with the Zumo mount. I'm still debating running the USB and Audio In jacks to the handlebar like you did... less wire to cram behind the dash. Great stuff, I mounted my 665 with very little trouble. But have been thinking of going to the 590 and was wondering how you guys do it. The 590 is a little wider and deeper. Wow, after seeing all this work and 'adapting', the factory kit suddenly looks so appealing and value for money! Seems a lot of work, why not just sell the old unit and buy a Nav that just slots in. My other question is why do folks opt for these units when Waze, and other cellular mapping services updates driving conditions live as they happen? 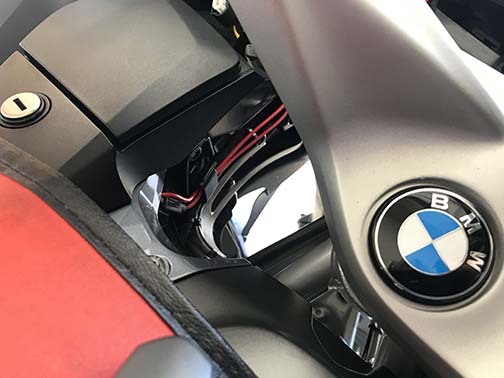 Well, to be honest I only spent about 2 hours on the project, and the total cost (less the BMW connector) was less than $10 (I took the mount off my StreetGlide). I went this route for several reasons: first, I use the Zumo on multiple bikes, so I didn't want to have to re-adapt them for the Nav VI; second, I read several reviews on the Nav VI where people complained about how limited the control was from the Wonder Wheel; third, I prefer to use my GPS for phone and music integration... 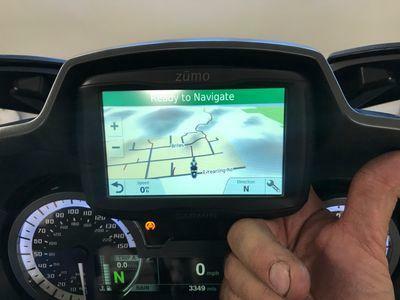 I find it easier than using my smart phone, and I don't really need traffic information where I ride; fourth, the Nav VI's $950 cost is more than I was willing to spend on something that didn't work any better than my Zumo 590. Buying the RT pretty much depleted my funds, and I'd rather spend the $$ on a set of auxiliary lights. I'll admit, I almost pulled the trigger on the Nav VI several times, but adapting my Zumo was just too easy an option to pass up. I was pretty hesitant about the mod until I saw vertible's post and realized how simple it was to remove/access the parts. Last edited by srwilliams55; Apr 11th, 2019 at 5:39 pm. The 1 inch stand-offs worked out fine, though it is a little tough to hit the release button with short fingers. 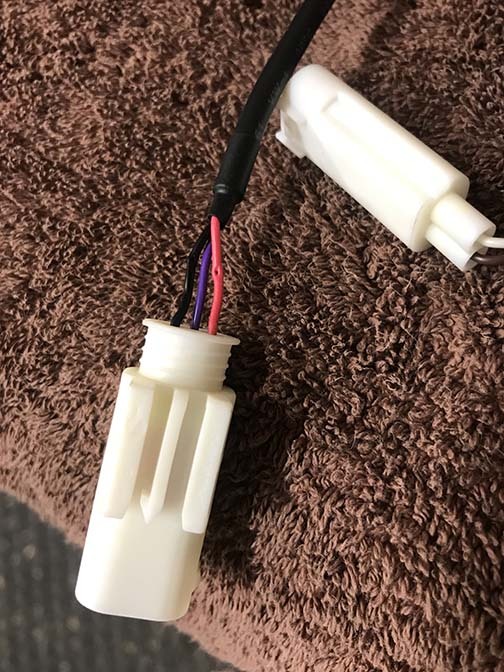 I ended up ordering a BMW repair plug instead of cutting off the original connector, just in case I wanted to return the bike to stock in the future (or get a Nav VI). Looks great and easier than what I did. Thought about getting a pigtail for the power, but didn't want to wait and don't anticipate going back to stock. 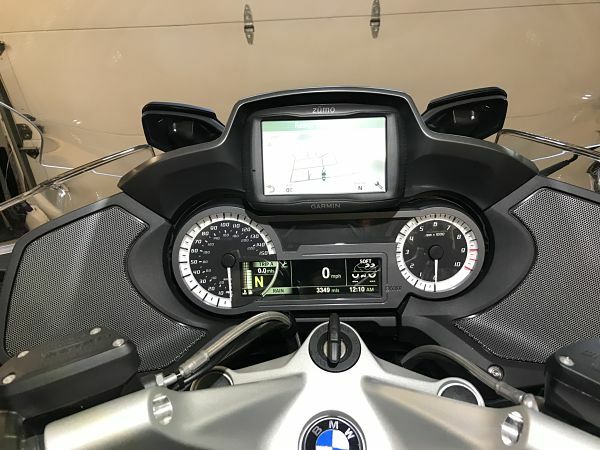 i dont know about others, but i run 2 navs during my longer trips; my google maps from my phone, and also my garmin that is fitted in the gps slot.